Good heavy stuff from the members of Moonspell. It still carries the a little bit of the gothic tilt that Moonspell has through keyboards and occasional clean vocals, but for the most part this is pretty extreme death/black metal. It's good to hear the singer from Moonspell growl again after he pretty much abandoned that style with his main band. He really steals the show here, ripping his way through every track with a newfound passion. The drums sound suspiciously synthetic, but are pretty good anyway. I consider Moonspell's "Wolfheart" a bonafide heavy metal classic, and this album takes some of that albums more extreme ideas and expands upon them. 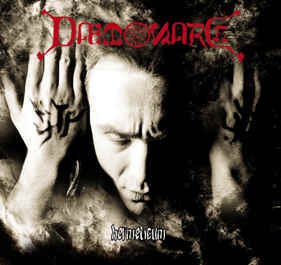 "The Seventh Daemonarch", the best track, kind of reminds me of "Alma Mater" because of it's driving, growly melodicism. The rest of the album is a more extreme return to Moonspell's pre-"Wolfheart" black/death metal roots. It's hard not to compare this to other Moonspell albums, seeing as how it's the same guys, but I think this album is a little better than "Irreligious" but not as good as "Wolfheart". This is a necessary detour from the uninspiring "gothic" route that Moonspell is currently pursuing. A refreshing album for both the band and it's fans. Unfortunately, this probably means that future Moonspell albums will be totally devoid of the black metal influence that made "Wolfheart" so great.